Choosing a diamond as the main stone in an engagement ring became popular in the late 1940s, and continues to be a top choice. 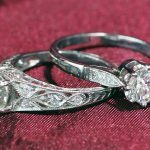 However, engagement ring trends are constantly changing; this is often down to the influence of celebrities, advertising, or the wider world of fashion. A recent example of this can be seen in relation to ‘royal’ fashion. Prince William proposed to Kate Middleton with the same sapphire cluster ring that his mother once wore, causing the style to soar in popularity. Regardless of what trends may come or go, there will always be people who prefer something a little different. 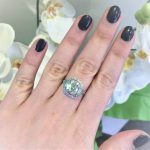 Join us as we look at some of our favourite unusual diamond engagement rings, and discuss what makes them so different! We’ll start by looking at some diamond rings which have a rather unusual shape. For comparison, here is an example of the Modern Brilliant round cut, arguably the most popular shape at the moment is. It’s very easy to see why! The way the stone is faceted gives it an amazing sparkle that will catch with even the smallest amount of light. However, as you can tell from the name, it is a very ‘modern’ cut and hasn’t been around for very long. 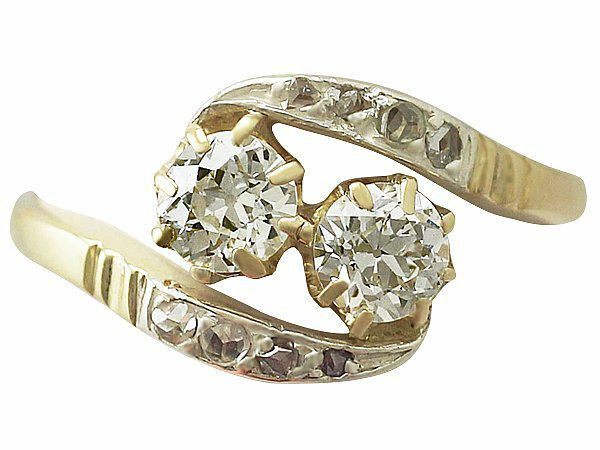 This brings us to our unusually shaped ring, this 0.85 ct Diamond and yellow gold solitaire (circa 1900). This ring has so much character; as well as a beautifully subtle warmth to its sparkle. The name of this diamond cut is Old European pear; it is very close in aesthetics to the pear cut, but judging by the age we know that it would have been cut by hand, accounting for the slightly odd shape. Remember the 4 Cs were not around in the 1900s! This diamond has a brilliant grading. It is an E colour, and has a clarity of VVS2. It would be the perfect choice for a bride who is looking for something that is more unique and unusual! Find out more about diamond grading here. 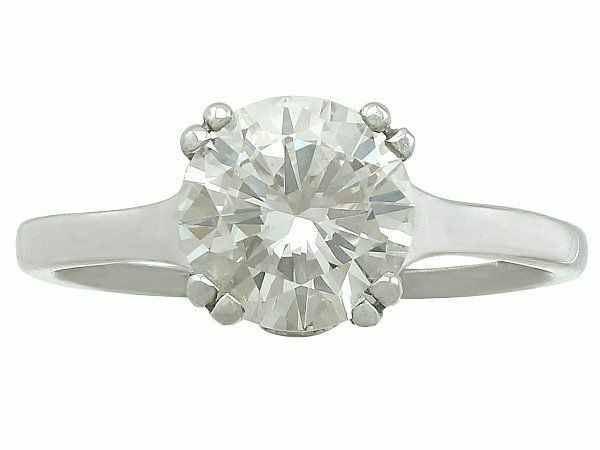 When picturing an engagement ring, most people will picture a diamond solitaire, or sometimes a cluster or trilogy ring. The two stone – or ’toi et moi’ – rings are a style which used to be popular, but has since fallen into obscurity. This is a great shame, as not only are they beautiful in their design, but they also have great sentimental meaning. Toi et moi rings represent the love and union of two people and the twining of their souls. 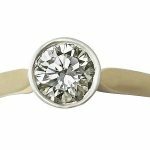 This symbolism makes a two stone ring a beautiful choice for an engagement ring. This style of ring first became a popular choice in 1776, when Napoléon Bonaparte gave Joséphine de Beauharnais a beautiful sapphire and diamond engagement ring. Of course, toi et moi rings don’t have to be two diamonds, they can consist of any combination of gemstones. Find out more about toi et moi rings here. Coloured diamonds are becoming more and more popular; but they are definitely still an unusual choice, especially in comparison to the classic, colourless diamond. Coloured diamonds have a very signature aesthetic, and are regularly more costly than opting for a colourless diamond. 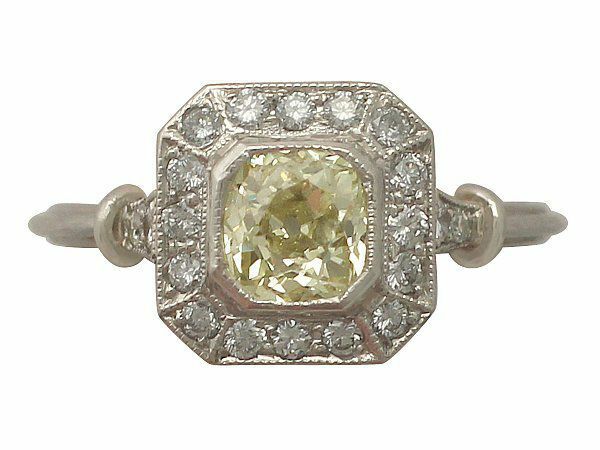 Here at AC Silver we have a few coloured diamonds, but this Fancy yellow diamond and platinum ring would make a gorgeous engagement ring for any bride that wants to add a pop of colour. Fancy diamonds (meaning the diamonds outside the normal colour range), like all other diamonds, can vary in price depending on their carat weight, cut and clarity. Their colour however, is graded slightly differently; the naturally vibrant examples will be more expensive than the paler stones. This specific ring is the most uncommon of the ones examined here. Of course, it is a celebrity engagement ring. Director, Nick Carpenter, proposed to his girlfriend, the model Bridget Marquardt, with a diamond spider engagement ring. Marquardt was very happy with her ring, pleased that she received something truly different. Animals, particularly insects, have been used in jewellery for thousands of years. Even Queen Victoria was presented a snake ring from Prince Albert to mark their engagement. 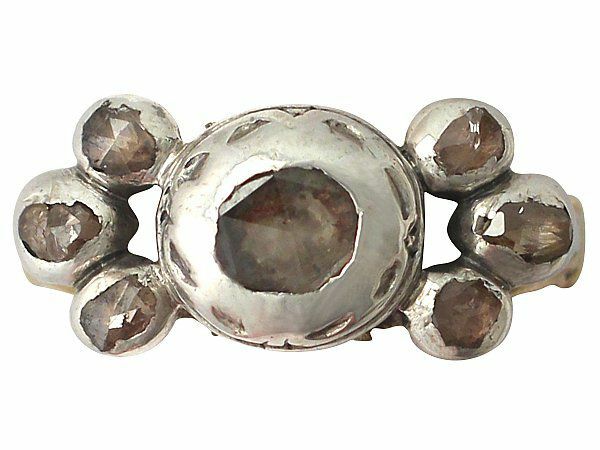 Sometimes, unusual animal-themed rings can show real thought and personality. They are a great choice for a bride that truly wants to stand out from the crowd. Stumbling across anything as specific as this is unlikely though, so bespoke design is the best route for achieving something as unique as these rings. 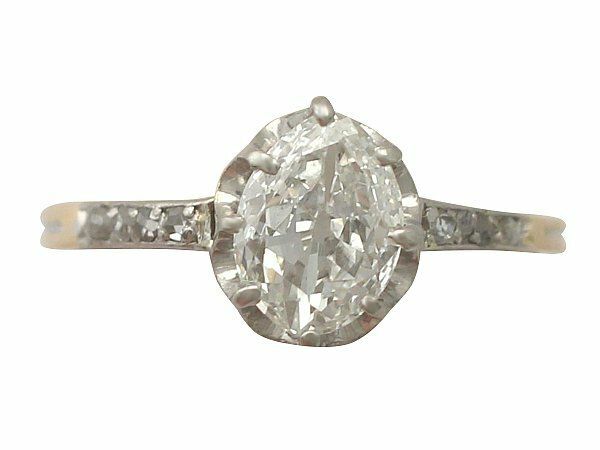 Our 0.76 ct Diamond ring, crafted circa 1820, is a stellar example of an older engagement ring. This ring is nearly 200 years old now and would still be suitable to wear everyday (as most women like to do with their engagement rings). It is also a very unique design that shows its age and era in a flattering way, creating a very special feel. Similarly to other rings from this period, the diamonds aren’t of the highest quality when it comes to clarity and colour. 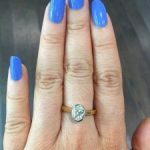 In this period, the stones would have been chosen solely on their look and how they work as part of the ring, as a grading system for diamonds didn’t exist yet. Find out more about antique and vinatge jewellery here. Each of these rings is special in their own way, and would suit a bride that is looking for something out of the ordinary! Which ring is your favourite? Would you prefer something more on-trend and traditional, or do you like to stand out from the crowd?